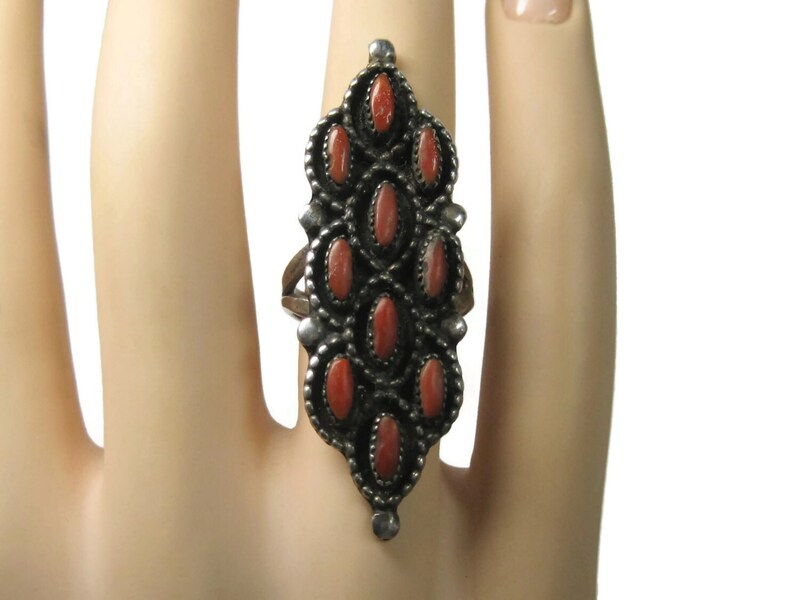 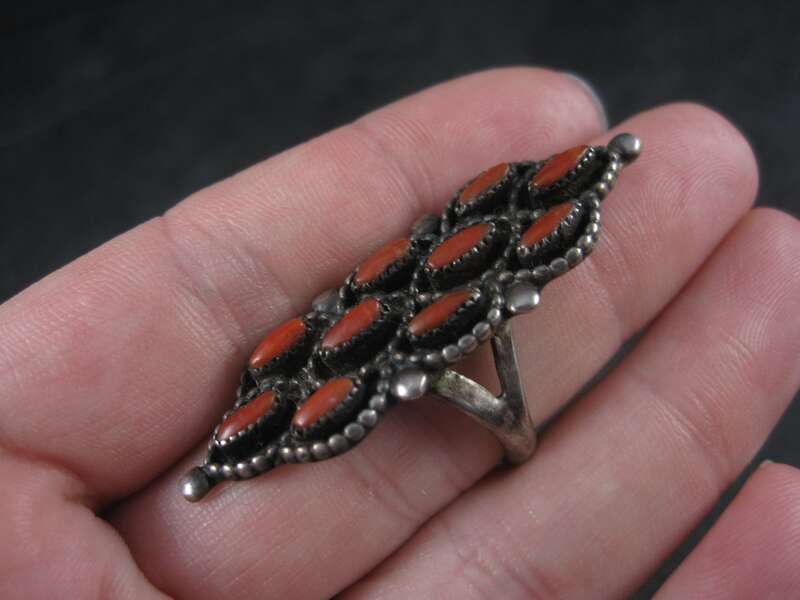 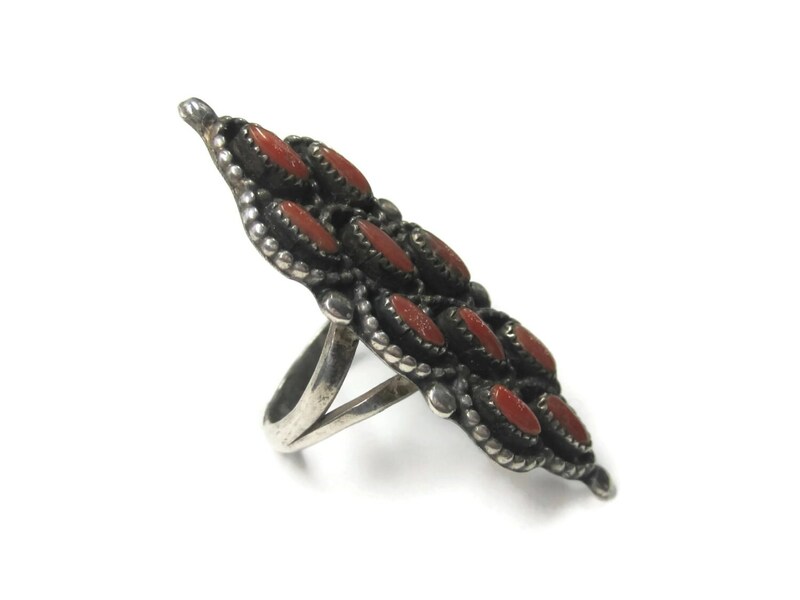 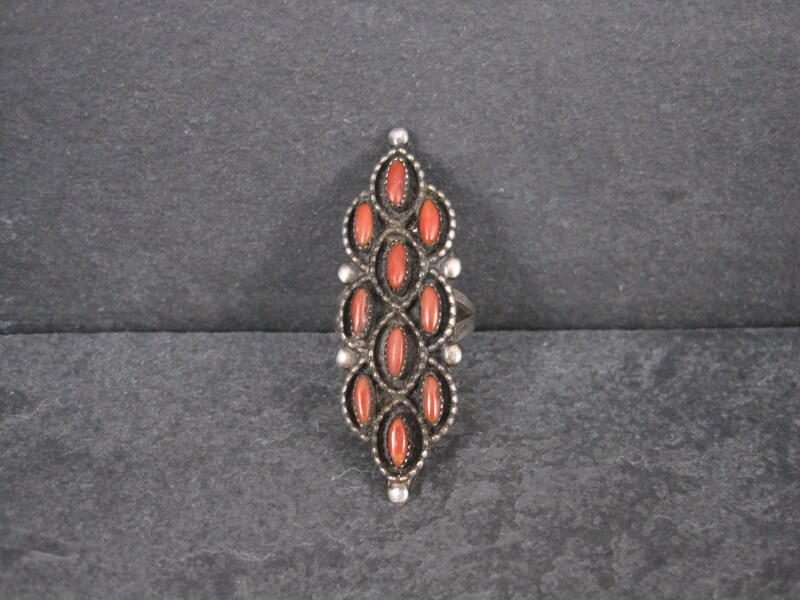 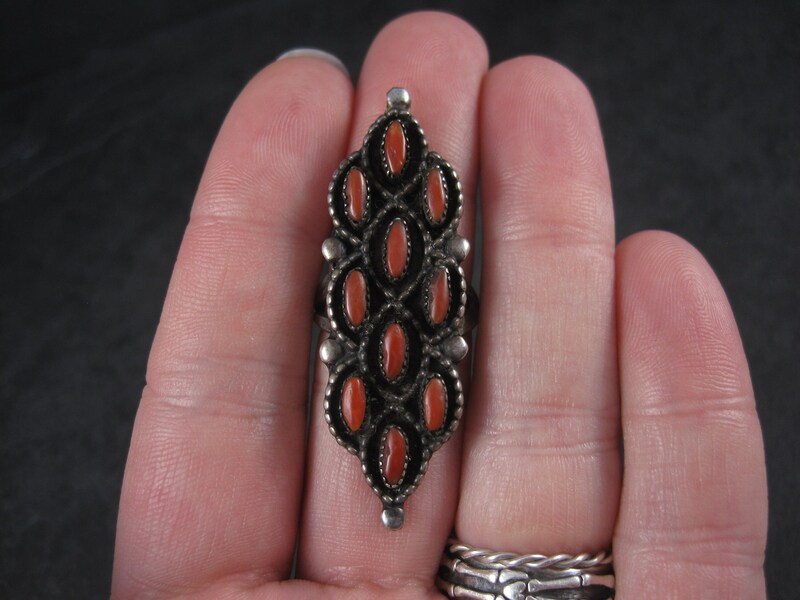 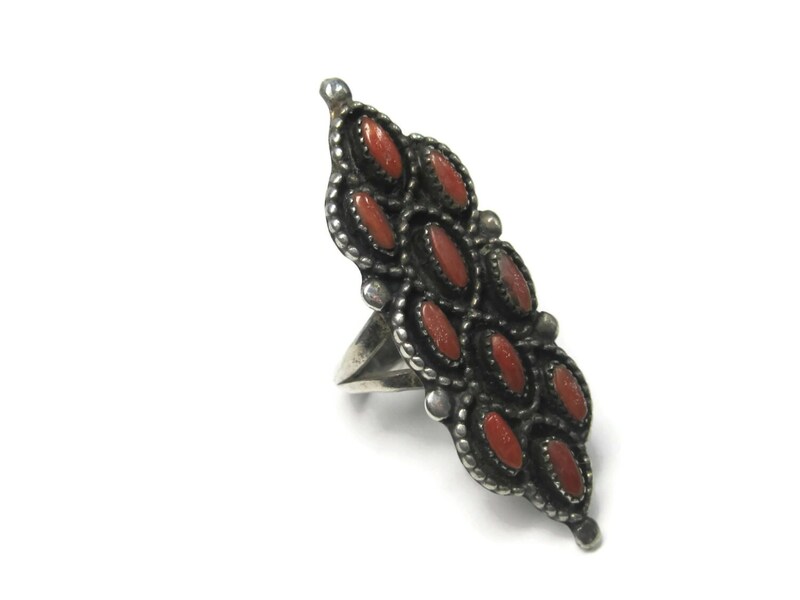 This gorgeous Native American coral ring is circa 1940s. 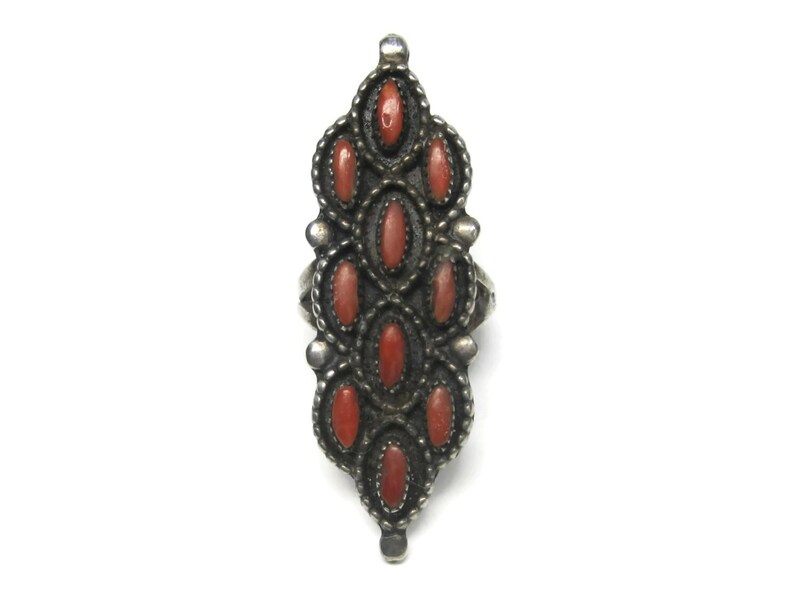 It features 10 natural coral gemstones. 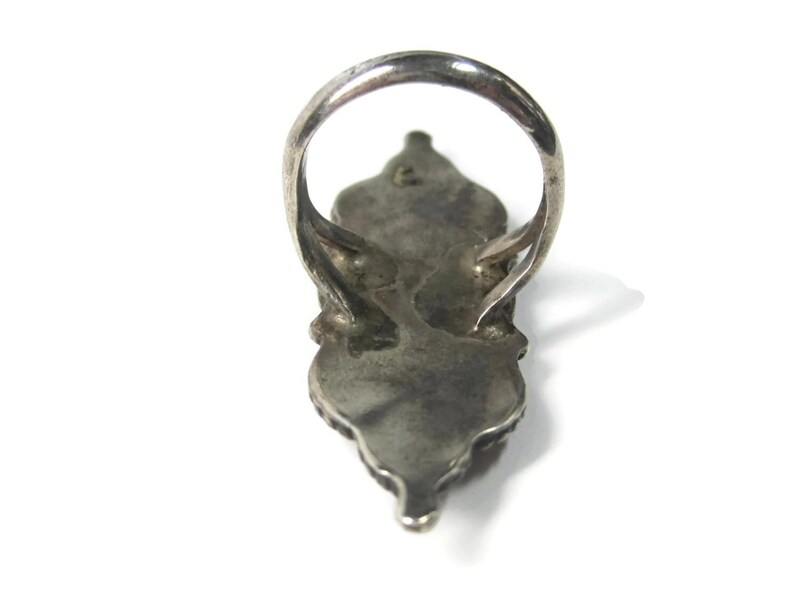 The face of this ring measures 5/8 of an inch east to west, 1 7/8 inches north to south.